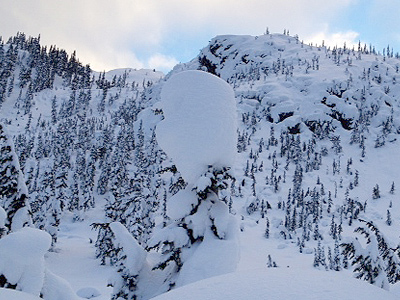 The Callaghan Valley, with its expansive terrain and high vertical drops, is a prime backcountry ski touring destination. An hour or two of climbing from the lodge can lead to those stellar, smooth runs through deep powder that only the few who know the magic pull of ski touring ever have the chance to appreciate. 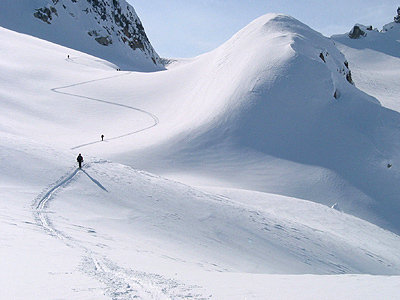 There are numerous popular runs and treks based out of Journeyman lodge that can give some of the best days or partial days of ski touring available on our planet. Callaghan Valley is a wilderness adventure playground in BC’s southern Coast Mountains – only 1.5 hours from Vancouver and 25 minutes from Whistler. The Journeyman Lodge is located 13.7 km up the groomed “Mainline” trail. 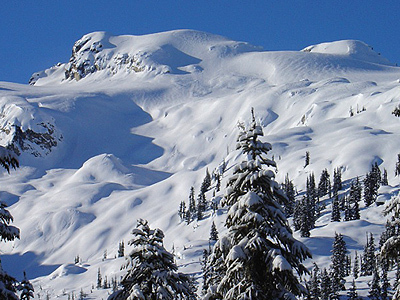 Ski tourers wishing to use groomed trails to either access or exit from the Upper Callaghan Valley are required to purchase a trail pass and register with the ticket office. The best way to make the most of this terrain is to purchase the 3 full days self-guided touring package from $398 per person. All meals, accommodation, luggage transfer, and 9am Sunday morning shuttle to the lodge are all included! All routes listed here provided by Callaghan Country Wilderness Adventures. To check out the Callaghan Country Wilderness accommodation click on over here and for a full listing of backcountry huts, cabins and lodges check out the Coast Mountain cabins/huts/lodges page over here. If we have missed anything please let us know? An elegant collection of six steep sided couloirs exhibiting diverse traits in terms of steepness , width and entry difficulty. 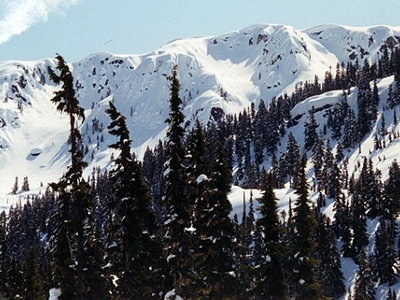 Access during summer is typically by boot pack and during winter by traversing up East ridge, about a 2.5km distance. A great place to spend an early morning corn snow experience ….in July. ACCESS: Journeyman Lodge Callaghan Valley 13.7 km up the groomed “Mainline” trail. Journeyman Peak is the closet summit to the Lodge, it lies on the end of the ridge which starts 6 km to the East just above Callaghan Creek. It is accessed via meadows on Solitude Loop and ascends along the Heywood Girdle and around a steeper knob into a smaller basin which leads to a ridge and the final open slopes. There is excellent skiing here, with dozens of long runs ranging from conservative lines back down the ascent route to long committing lines NE towards the Lodge. Total distance is approximately 3km. Due to its close proximity to the Lodge this area is popular for persons with restricted time frames or on poor visibility days. Excellent glade skiing using the Heywood Girdle as the uptrack access. Be cautious of avalanche terrain in steep area immediately above traverse.